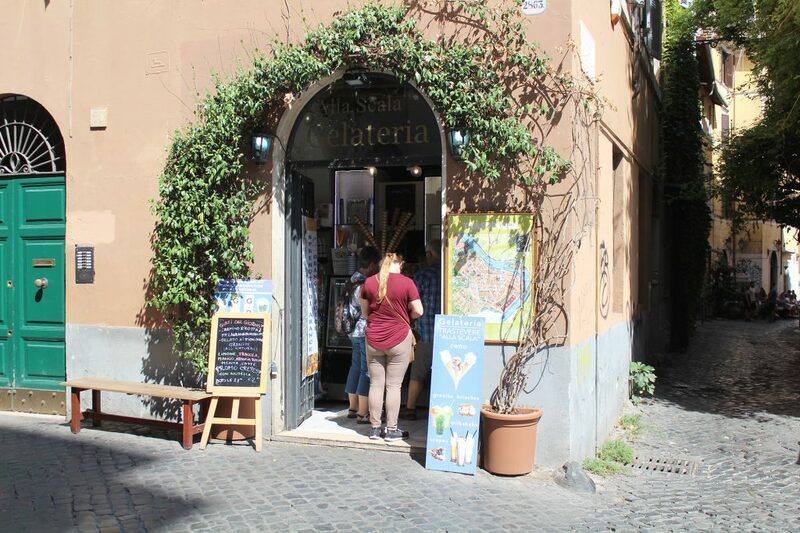 Gelateria Alla Scala – entrance. Back at home, during summer, I often make those frozen bananas ice creams at home, keeping things clean and healthier. 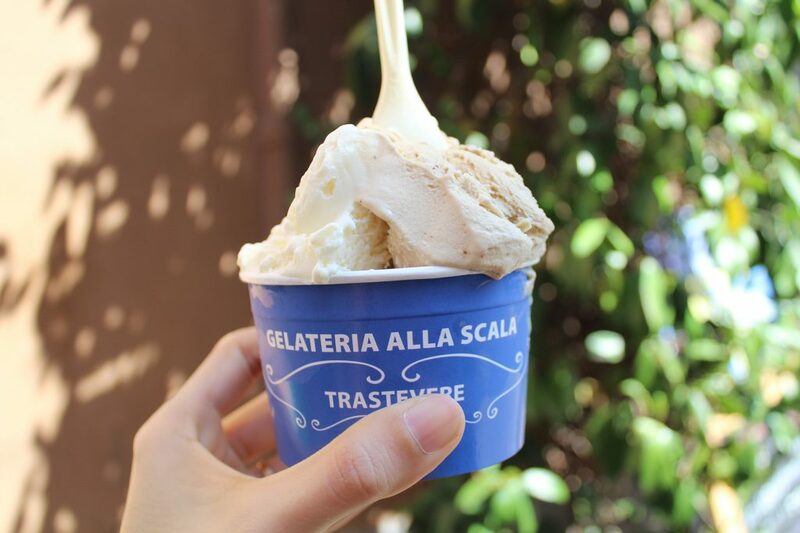 Strolling around the Trastevere area, our gelato option for that day was Alla Scala Gelateria. Which might be hard to notice due to its tiny door lost in the middle of those super charming Romanian alleys. Dear Lord, what was that pistachio gelato?! Seriously, the best pistachio gelato I’ve ever had, and I’m saying it with some authority as I tried pistachio gelato in many other places before, including during this trip. Cremino was very good too, it is made of vanilla, melted white chocolate, and raspberry. I tried a bit of hubby’s choices and they were equally good. 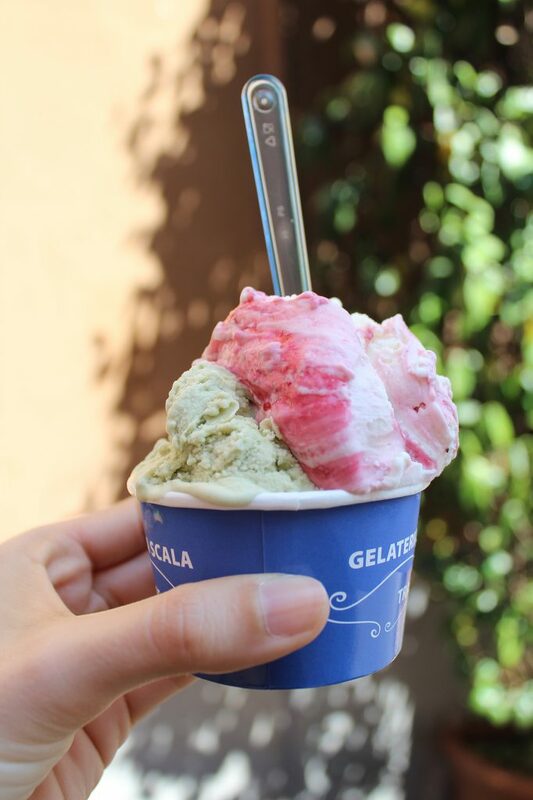 The gelato itself was super creamy, smooth, light and had a good amount of sugar (wasn’t too sweet, what is good! ).